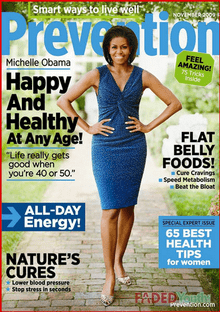 Prevention is an American healthy lifestyle magazine that has been around since 1950. It’s one of the largest magazines in the world with over 10,000,000 readers a month. Their website is Prevention.com. Last week I was contacted by Marygrace Taylor, a writer for Prevention, who wanted to interview an “aromatherapy expert” for a story on the benefits of essential oils. Flattering as it was to be consulted for this story, it was also a little unsettling. I’ve been interviewed many times in my aromatherapy career and I’ve learned this: there is no guarantee that what you say will be printed or that your words will be used in the context they were spoken. Only the journalist and staff are privy to the final copy. All you can do is speak your truth, cross your fingers and hope for the best. The first thing she asked were my thoughts on a recent study on the effects of Bergamot (Citrus bergamia) that appeared in the European Journal of Preventive Cardiology. I anticipated this question, since the study has been bashed discussed all over the internet in alternative therapy circles. I shared that in my opinion, the study was flawed in a number of areas, was unscientific, biased, and I didn’t agree with the findings. Okay, the study – and my opinion of it – it isn’t really the point of this blog post, but it’s significant to mention here. You’ll see why. Beyond that, the journalist asked lots of generic questions about the benefits of essential oils, how they can be used by the general population and anything readers should know about safety. I was in heaven. These were the kinds of questions I was hoping she’d ask. I kept my answers short and to the point because I knew if I rambled on and on about the wonders of aromatherapy, the points I wanted to strongly impart – the physical benefits of essential oils and safe application – would get lost. The article was entitled “Sniff Your Way to Health” and appeared on Prevention.com on December 5th. And it wasn’t too bad. Not bad at all. None of my remarks about the study were included (surprise surprise), and I found it interesting that although I never mentioned any specific essential oils, they were sprinkled throughout the article. When would I ever say “orange bergamot”? I was pleased to see that she included “the positive impact of essential oils is about more than just a soothing smell” and that they can “even relieve physical ailments like inflammation, congestion, and headache”. She asked me “Liz, how would you recommend using essential oils and in what quantities?” She printed exactly what I told her. Thank you, Marygrace. I’m not crazy about the image they used to feature the story (candles) and the title was a little cutsey for a story about health, but all-in-all I’m happy with the article; or at least my part in it. Plus my school got a huge plug which didn’t hurt my feelings a bit. Here’s a link to the article: Sniff Yourself Healthier. Now I’d like to hear from you. What do you think of the article? what do you think would your opinion be after reading this story? Good article, Liz… they handled that cardio study more positively than they could have, so I think they did listen to you. Good publicity for you and for the school… I’m glad for you!!! I think a lot of know how the press can totally mangle what we actually said. This came across positive so applause!!!! Thanks Marge! I appreciate the comments and whew (wiping my brow) that it came across in a positive way! I’m so glad she didn’t misquote you! I remember when I was a journalist how a copyeditor sometimes changed the entire meaning of a newspaper article by changing one word! I wonder if she asked you about that study to screen out whacked out aromatherapists? Great job, Liz! You handled the interview very well. Marie! How wonderful to hear from you! Thanks for the comment. The article did com across very well, and I am so excited for the exposure for your incredible school!! Given the venue and the length of the article, you were able to point out the mental and physical benefits of the oils, gave a practical application and promote your school. And you weren’t horribly misquoted. All in all, a great article. I totally agree. It really wasn’t bad at all. Thank you again!